Cisco Router Furniture So 'Smart House' ~ " World Information "
Today, more and more 'smart house'. So called because in it there are plenty of smart devices that can connect to Wi-Fi network. The need for a router device in such a household was considered the higher, to facilitate an internet connection for families who occupied it. No wonder if Cisco as one of the market players try to refresh their product lines. "Kian many households have electronic devices enabled with Wi-Fi. From the smartphone, smart television until the tablet. The high-speed routers need to support it," said Boon Ping Tan, Regional Sales Director Cisco Consumer Products Asia. 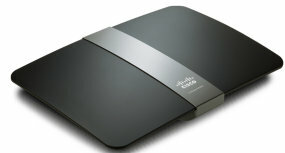 Cisco also launched a new product E Series Linksys Wireless-N routers. The four products at once presented, namely Lynksis E4200, E3000, E2000 and E1000. The highest is the E4200 series which is claimed to present the speed up to 450Mbps. Not only the ability of a mainstay of Cisco products. Companies from the United States is trying to make a router with a special design so that its form in harmony with the room in the house, even look like household furniture. "Design E4200 has won international awards in Germany. So this router look elegant and be a part harmony in the home room," claims Boon Ping Tan, in a press conference here on Thursday (6/5/2011). In addition to beautiful design, E4200 series has several features that became its flagship. For example, a USB port for adding external storage drives, external and internal amplifier to achieve maximum velocity at the farthest distance, six antennas, and maximum performance to 300 Mbps (2.4) and up to 450Mbps (5.0 GHz). Fourth N Router wireless devices that are already available in the market with the highest official price of Rp 1.6 million for the E4200 series. While the cheapest is the E1000 series with the price of USD 450 thousand.